Due to the fact that we keep over 60 breeds of hen, we understand exactly what is needed for good poultry housing. 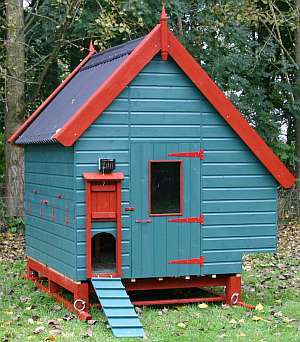 We design and build henhouses to meet these needs and our customers benefit from our skills and experience. For example, we know how annoying it is to have strips of wood placed in such a way that it is impossible to sweep out the house properly - so we design our housing without them. We know how good it would be if nest boxes could be completely removed for cleaning and quickly replaced again our Hestley range has just this feature. All of our timber is pressure treated before construction to increase the life of the hen house. 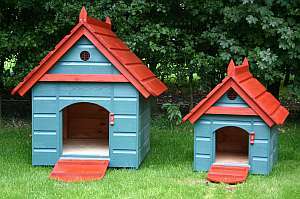 It is possible to buy cheaper henhouses from other suppliers, but after living with ours for a few weeks, the small (but important) design details become obvious to our customers which is why they keep coming back for more. 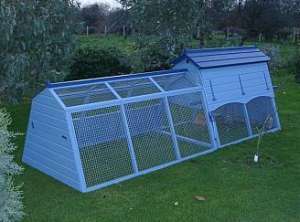 We have a wide range of henhouses shown on this site. Please ask if these are not suitable for your needs as we have other designs as well. Below, you can also find out more about our custom designs. 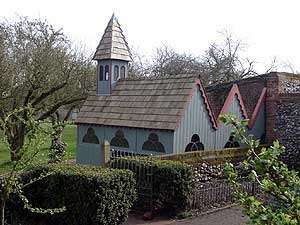 A henhouse for all breeds of poultry including large fowl. A handsome nestbox for a single hen or pair if small bantams. 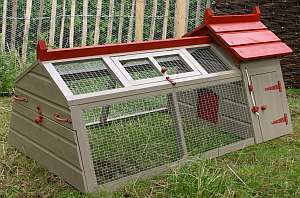 The Little Thrippett is suitable for a guinea pig or rabbit, broody bantam with chicks, or two to three bantams. Larger versions (The Thrippett and The Great Thrippett are also available. 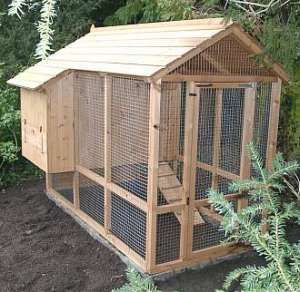 A henhouse for 30-50 free-ranging hens. We have built many custom designs to meet particular needs.